Gangsta techno? 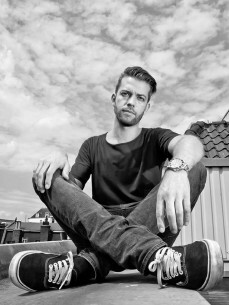 The description of one of Amsterdam talent ONNO’s Panoramabar sets on his SoundCloud page may be tongueincheek, but it’s not a bad shout in terms of a phrase to capture what his sound is all about. Blending slender techno groove with housey texture and rhythm and a little of his beloved hiphop’s attitude his is a sound that has found a home on acclaimed imprints like ViVA, Saved, Moon Harbour, Souvenir, Remote Area, Upon.You, International Deejay Gigolos and Get Physical. Growing up amongst Holland’s consistently bustling dance music culture, ONNO went from bedroom DJ to being snapped up as the youngest ever resident at Amsterdam’s legendary Chemistry parties in a matter of years. Cutting his teeth at their parties from the age of 16, he was resident by the time he was just 19 years old. “Here I discovered house and techno from all across the board”, he says. “From the US guys like Kerri Chandler, to Germans like DJ Hell and techno guys like Josh Wink and Dave Angel. I played my first gig there warming up for a then very young D'Julz.” His production career began some years later, releasing his first Masterdam EP in 2009 (a homage to his home city) and after a few years of honing his craft his rapid ascent to the top began. Listen carefully and what may at first seem an obtuse connection makes perfect sense: a focus on weighty low end, killer swinging grooves and a nononsense approach to making people move. That and the occasional heavily treated rap vocal samples, of course. Rap aside, he draws inspiration from across the board to colour his sonic palette.